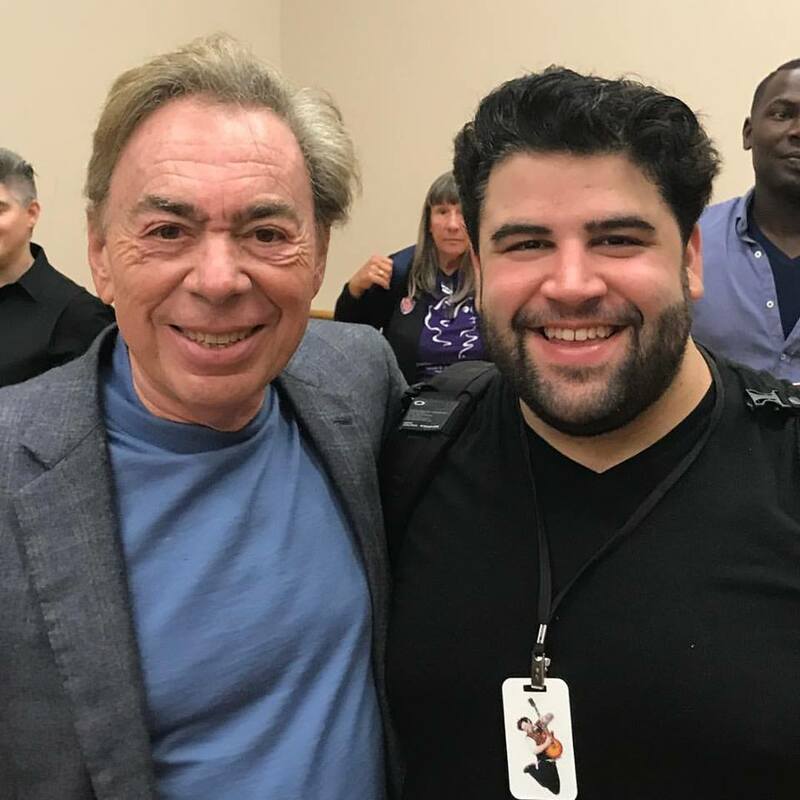 Columbia College Chicago Theatre Department alumus Rob Colletti ’11 stars in the national tour of the Broadway hit School of Rock, Andrew Lloyd Webber’s musical about a wannabe rock star who poses as a prep school teacher. The production arrives in Chicago for a three-week run November 1, playing through November 19 at the Cadillac Palace Theatre , 151 W. Randolph in downtown Chicago. For tickets to the Chicago engagement, click here. 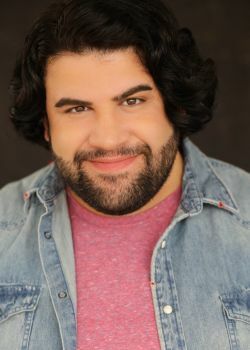 Colletti, who hails from the Chicago suburb of Glen Ellyn, is a graduate of the Columbia College Chicago Theatre Department’s BA Program in Acting. 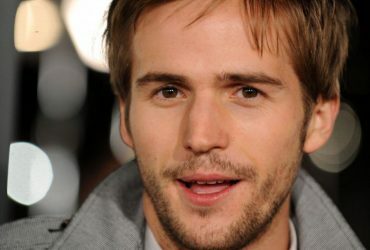 While at Columbia, he also studied in the comedy studies program at The Second City. His professional credits include the Broadway and national touring companies of The Book of Mormon, in which he played the leading role of “Elder Cunningham. 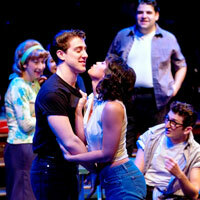 Rob Colletti (rear) in “The Original Grease” at Chicago’s American Theatre Company in 2011. While still a student at Columbia, he appeared in The Original Grease at the American Theater Company in Chicago. That 2011 production restored material from the original 1971 Chicago production of Grease that had been cut from the show’s 1972 Broadway version. The Original Grease was created with the participation of Grease‘s coauthor Jim Jacobs, benefactor of the Jim Jacobs Musical Theatre Scholarship at Columbia College Chicago.